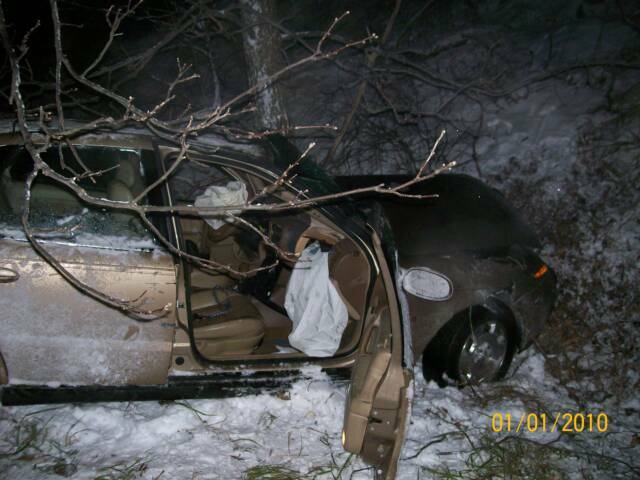 1/1/10 - WESTFALL TWP - Nearly 5 hours into the New Year, Fire Station and Squad 39 were alerted for an Auto Accident on Interstate 84 West at MM 51. 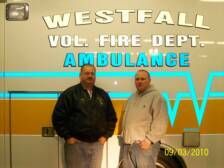 At 04:25, the Westfall Fire Department went into service handling the first call in the county. 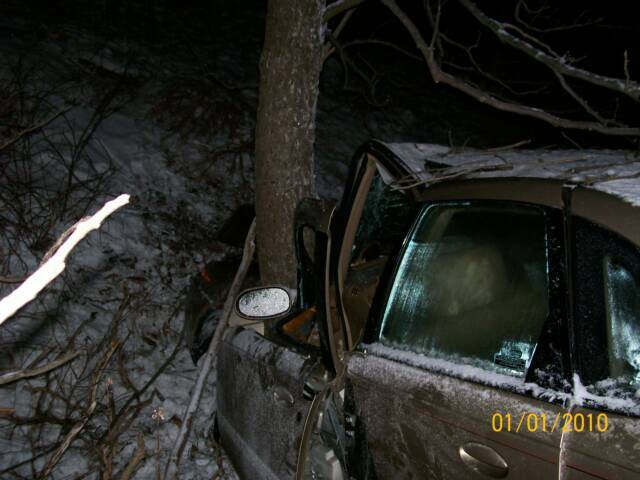 Engine 2 and A-398 arrived on scene to find a vehicle down an enbankment into a tree. Crews found 1 patient, self extricated with minor injuries. Firefighters stabilized vehicle hazards and provided traffic control while A-398 transported the patient to a local hospital. All units returned to service at 05:36. 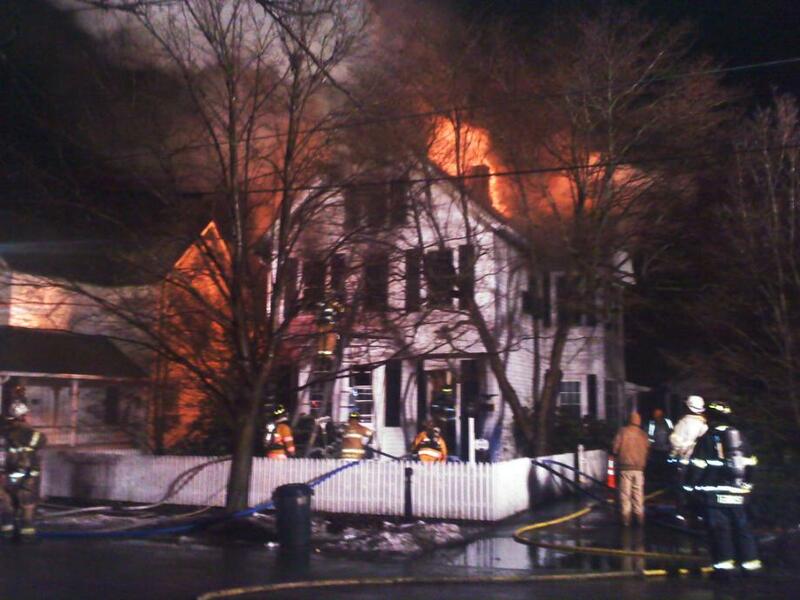 1/17/10 - MATAMORAS BORO - At 22:13, Fire Station 32 was alerted for a structure fire on Ave K in the borough. The initial dispatch also brought 39 Engine 1 and 39 Tanker under automatic mutual aid. Units arrived to find heavy fire from a 2 1/2 story WF private dwelling and went to work mounting an aggressive attack. Engine 1 laid in with a 5" line and supplied 32 Truck while the Engine crew worked to get handlines in place. 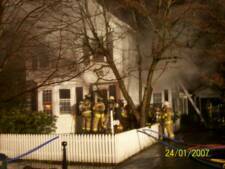 Crews fought for several hours to get the upper hand on the fire that already consumed much of the 2nd floor and attic. Thank you to 33 Engine and 34 Tanker who stood by in Station 39 until our units were back in station at 03:00. 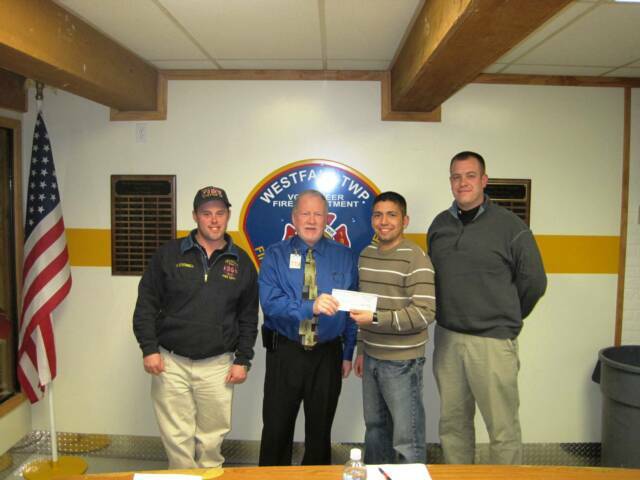 2/9/10 - WESTFALL TWP - At the regular monthly membership meeting Tuesday night, Bruce Blitz, APC of the Westfall Wal-Mart store presented a $1000 grant from the Wal-Mart Foundation's Community Grant Program. 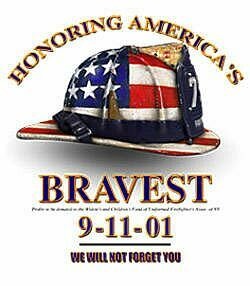 The officers and members of the Westfall Fire Department would like to thank Bruce as well as Store Manager Reggie Smith for their generous contribution. 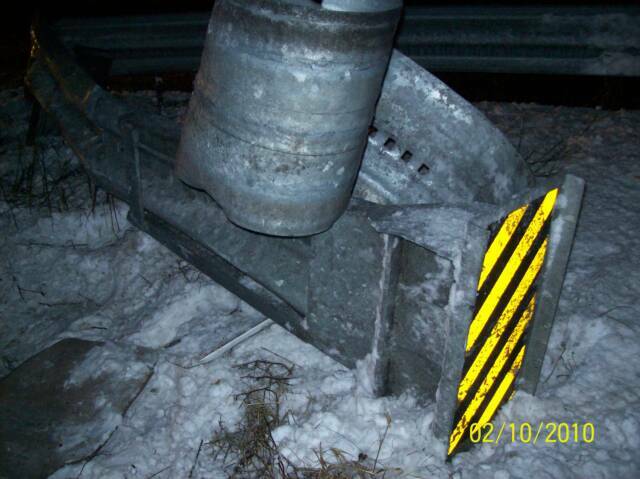 2/10/10 - WESTFALL TWP - At 20:36, Both Fire Station & Squad 39 were alerted for an Auto Accident on I-84 at MM 49. While responding, PC-911 advised responding units that the vehicle was over an embankment and not visible from the roadway. 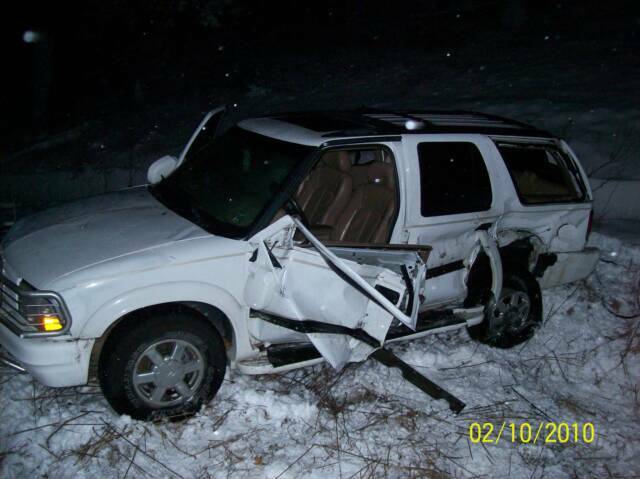 On arrival, units found that the SUV went over a 75' sloped embankment after striking the guardrail with the driver still in the vehicle. Personnel from 39 E-2 and A-399 made their way down to the vehicleand accessed the patient requesting a Medevac. Crews from E-1set up a rope system for patient removal. Within minutes, the patient was packaged and returned to street level for transport to a local hospital after all helicopters declined to fly due to weather. All units returned to service at 22:49. 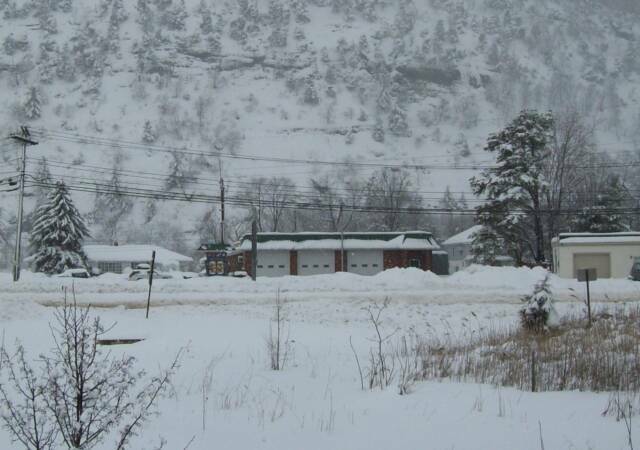 2/25/10 - WESTFALL TWP - A Winter Storm Warning for Pike County prompted a stand-by for the members of Station 39. As snow began to fall Thursday morning, the NWS was predicting snow to accumulate in feet. 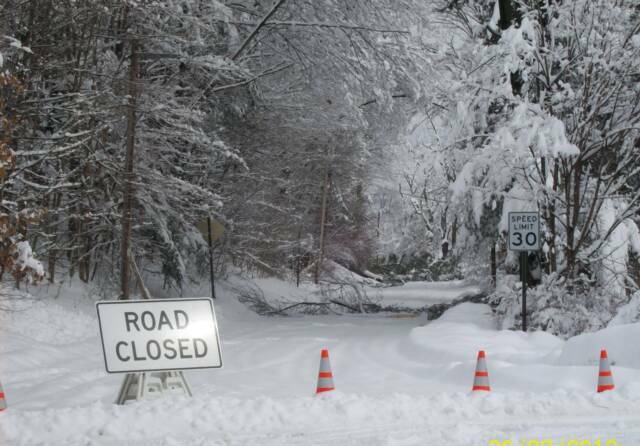 With blizzard-like conditions throughout the night, strong winds and heavy wet snow blanketed the region causing numerous downed trees and wires as well as road closures. By Friday morning, nearly 30 inches of snow fell and crews answered nearly a dozen calls. 2/28/10 - WESTFALL TWP - Recently firefighters Jeffrey Elston & William Van Horn completed the Pennsylvania DOH Emergency Medical Technician course. The 140 hour course began in October last year and was held at the Dingman Twp Fire Station. Congratulations to our new EMT's on your hard work and commitment.